Giardini di Augusto, or the Gardens of Augustus, is absolutely one of the most beautiful places in Capri. During the early twentieth century, this paradise was created by Friedrich Alfred Krupp. Mr. Krupp was a very wealthy German industrialist. He is also the man behind the gorgeous Via Krupp. The Gardens of Augustus is only a 10-minute walk away from La Piazzetta Capri. Upon entering the gardens, guests will be welcomed by lovely flowers like brooms, dahlias, and geraniums. Gardens of Augustus Capri also offers a 180-degree view of the Faraglioni, the picturesque bay of Marina Piccola, and Monte Solaro Capri. Below the Gardens of Augustus Capri is the Tyrrhenian Sea, a portion of the Mediterranean Sea located off the western coast of the lovely country Italy. In addition to witnessing the rich flora of the Capri Island, when visiting the gardens, you will also experience the cool, tranquil breeze of the deep, blue sea. Getting to the Gardens of Augustus Capri is pretty easy. From the La Piazzetta Capri, you simply take Via Vittorio Emanuele. Then you get on Via Federico Serena, and then lastly, Via Matteotti. A tour to the Gardens of Augustus starts at €1, and is definitely worth every cent based on tourists. 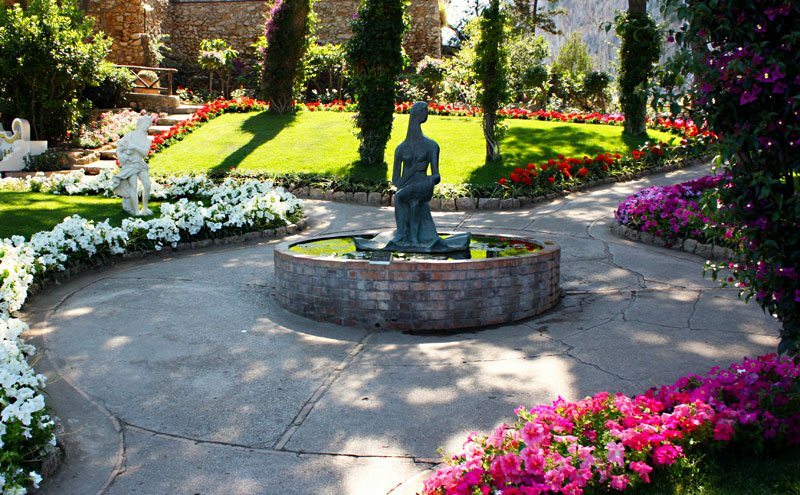 The first level of the La Piazzetta Capri features patches of green grass, blooming and colorful flowers, and towering trees. The second level offers a large patio with benches for the guests; a perfect haven to enjoy the sun. Also located close to Gardens of Augustus Capri is the Certosa di San Giacomo or the Charterhouse of St. James. This is a Carthusian Monastery founded during the 1370’s. According to most tourists, this attraction is a must-visit for inquisitive people who want to discover the rich history of Capri, Naples, and Italy itself. This entry was posted in Attractions in Capri and tagged Attractions in Capri. Bookmark the permalink.